Democrats intend to ask Kavanaugh for his files from Bush White House. camera (J. Scott Applewhite/AP) Senate Minority Leader Chuck Schumer speaks with reporters on Capitol Hill in Washington, July 31, 2018. Senate Democrats plan to meet with Supreme Court justice nominee Judge Brett Kavanaugh and personally lobby him to hand over his entire record, a senior Democratic aide told ABC News Friday. They now plan to meet with Kavanaugh after the Senate returns from its shortened recess on August 15, and urge him to ask the National Archives and Records Administration and President George W. Bush to “adhere to the same standard that was met for Justice Kagan’s nomination,” according to the aide. They also intend to demand that he call for and support the release of “all of his files” from his time spent working in the George W. Bush White House. (Susan Walsh/AP) Sen. Chuck Grassley, left, shakes hands with Supreme Court nominee Brett Kavanaugh on Capitol Hill in Washington, July 10, 2018. White House spokesman Raj Shah in a statement Friday said the requests from Schumer and Feinstein have remained unanswered. He also called the Democrats' calls for more documents a disingenuous demand. “Despite published reports, the White House’s requests for meetings between Judge Kavanaugh and Senators Schumer and Feinstein remain unanswered after over three weeks. While we look forward to potential meetings, both of these Democratic senators and many of their colleagues have publicly opposed Judge Kavanaugh’s nomination, while continuing to disingenuously demand millions of pages of documents from former President Bush that are irrelevant to evaluating the Judge’s judicial thinking," Shah said in the statement. "In addition to over 300 judicial opinions and over 130,000 pages already provided to the Senate Judiciary Committee, the Administration continues working to provide access to more documents and records pertaining to Judge Kavanaugh’s record than any Supreme Court nominee in U.S. history,” Shah said. Since his nomination, Kavanaugh has already met with nearly half the Senate. All but one of those meetings have been with Republicans. Sen. Joe Manchin of West Virginia, up for re-election this fall in a state Trump handily won in the 2016 presidential election, is the only Democrat who's met with Kavanaugh so far. Sens. Heidi Heitkamp of North Dakota and Joe Donnelly of Indiana, who are also up for re-election in red states, are scheduled to meet with Kavanaugh on Aug. 15. Meanwhile, a potential roadblock awaits Kavanaugh’s confirmation process after the National Archives indicated Thursday that it needs until the end of October to produce nearly 1 million documents requested by Senate Republicans. The records delay could mean a vote to confirm Kavanaugh to the Supreme Court might not come as quickly as Republicans hoped – they wanted Kavanaugh confirmed in early October before the court’s fall term is set to begin. With a slim 51-49 majority in the Senate and Sen. John McCain away in Arizona battling brain cancer, Kavanaugh needs every single Republican to support his nomination. Without a full scope of his records, on-the-fence Republicans, including Lisa Murkowski of Alaska and Susan Collins of Maine, could potentially be less inclined to vote in his favor. On Thursday, the Judiciary Committee said it received 125,000 pages of records related to Kavanaugh’s time serving in Bush’s White House Counsel’s office from 2001-2003 from Bush’s team. The committee said it expects these records to be made public. 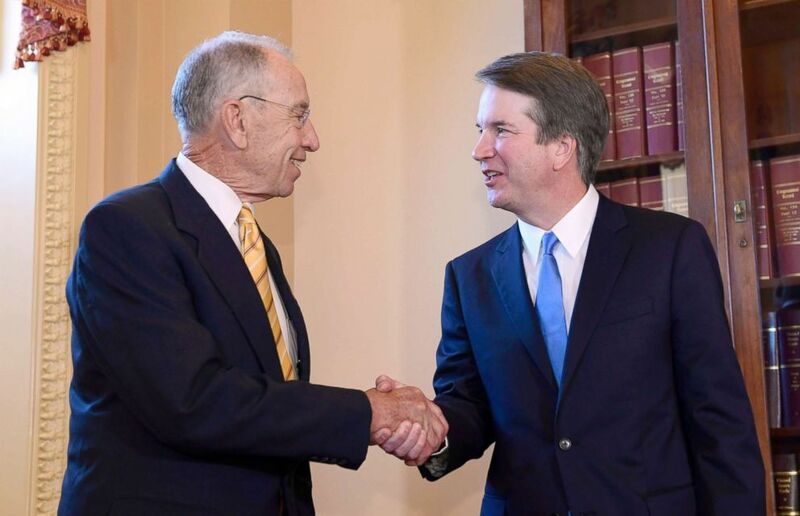 Separately, Grassley and Feinstein wrote the National Archives on Friday requesting Kavanaugh's documents from his service in the Office of the Independent Counsel Kenneth Starr, including all emails he sent or received and all documents he authored, edited, revised or approved. The National Archives estimates the volume of these documents to be 20,000 pages. Kavanaugh once helped write the Starr Report that outlined broad grounds on which to impeach President Clinton for his role in the Monica Lewinsky scandal. But Democrats maintain their requests for additional records related to his time spent working as a Bush staff secretary will help ensure a more thorough vetting process. Kavanaugh has previously said that his time serving as a staff secretary for Bush was “formative” and “most instructive” to who he is as a judge and Democrats have said his paper trail during this time could grant more insight into his thinking on certain issues, such as abortion rights and health care. 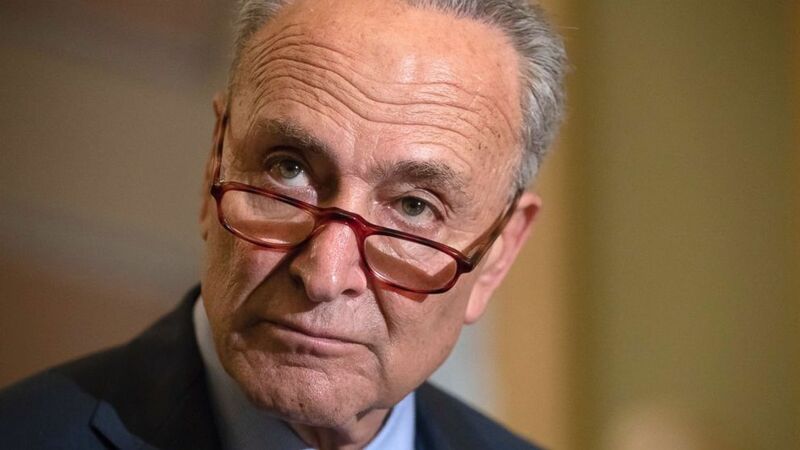 In a statement Thursday, Schumer said the National Archives “confirmed our worst fear” because the documents requested by Republicans will be screened by Bush’s lawyer under the Presidential Review Act, which could further limit Democrats’ access to Kavanaugh’s record. “This unprecedented process appears to be designed intentionally by Republicans to deny the Senate and the American people the information they need to evaluate this critically important nomination,” Schumer said. Grassley says Kavanaugh’s vetting process is probably the “deepest dive” ever conducted on a Supreme Court nominee. “What more do they need to know to vote no?” Grassley said of Democrats’ demands for more documents during a press conference Thursday. Republicans say Democrats are deliberately stalling Kavanaugh’s confirmation process because of his conservative roots. “We can't keep going down this partisan, picky, stupid, dumbass role that has happened around here for so long,” Sen. Orrin Hatch, R-Utah, said Thursday at the press conference.